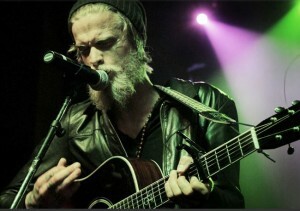 Finally San Diego can offer entertaining live music throughout the city thanks to The Acoustic Spot, a new live music entertainment agency that was created to represent a roster of talented musicians, then provide live music programs at San Diego’s hottest venues giving you access to musical delight most nights of the week, no cover and no tickets needed. Not only do they arrange public entertainment in America’s Finest City, but you can also arrange for private in home entertainment utilizing their Chords and Cuisine service. Here’s how it works, a professional chef will be in your kitchen preparing fresh hors d’oevoures while interacting with guests. A fantastic musician, of any desired genre performs in a comfortable, convenient setting; your own home, generating energy unique only to live music; without the stress of coordinating food or entertainment. And that’s not all! With their talented group of available musicians you also have access to live music San Diego consultants, if you’re planning an event or just want to modify your own space to pursue your own musical talents. The Acoustic Spot is a full service live music entertainment agency available to you offering exclusive one of a kind services to satisfy your musical needs, whether for a night on the town or a private social dinner at home. Cool, right? We think so. We spoke to Josh José, founder of The Acoustic Spot to find out more about this awesome new concept bringing musical life back into San Diego’s nightlife. What inspired you to start this company? I’m just a musician at heart. One night I wanted to listen to live music somewhere in Encinitas and have a beer, so I went online and looked for over 30 minutes, and found nothing. So I decided to create a solution for a core problem I found, easy access to quality live music anytime, anywhere in San Diego. What does The Acoustic Spot do? We provide convenient live music entertainment at the hottest local venues, as well as providing unique and exclusive entertainment programs for people’s personal needs, so they can enjoy music while getting the benefits of our services as well. How do you decide which musicians to add to your programs? Currently we have over 50 musicians on our waiting list. We look for three important criteria in our musicians; talent, charisma, and manners. Once we give a musician a chance, we have them play 6-7 shows before we officially add them to our roster. This ensures our talent has the positive feedback and professionalism that The Acoustic Spot promises. 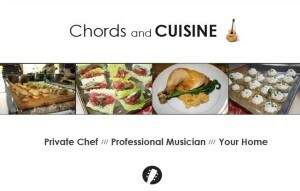 Tell us about Chords and Cuisine? 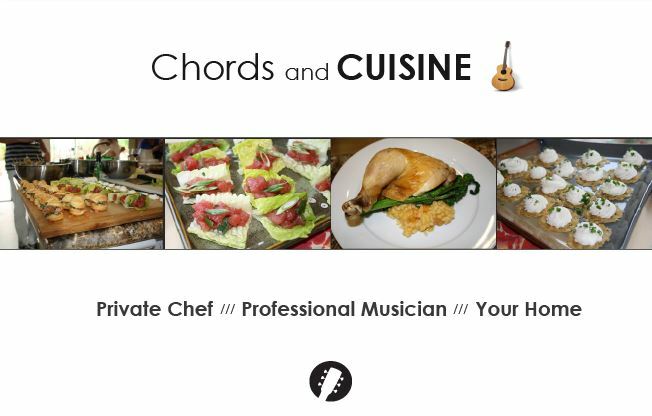 This is an exclusive private party service where clients can book a private chef along with musician for a 3 hour social event, where music and hors d’oevoures will be provided throughout the evening. It’s an easy and convenient way to create a memorable and unique social experience for you and your guests. What venues participate in your program and why should they? We have The Commons, Herringbone, Duck Dive, Sea & Smoke, Analog, Searsucker, L-Auberge, Gordon Biersch, and many more are being added. We manage over 120 shows a month right now and growing. We offer venues high quality talent at reasonable rates, as well as being a trustworthy business partner that supports the live music San Diego program with marketing strategies including radio, social media, and magazines, etc. We also make sure our venues are not competing with each other, by ensuring the program is offered on varying nights, giving each venue the full benefit of the live music program. Also, this is an exclusive live music San Diego program, so the venues that want to stand out from the rest, will want to offer a lineup of unique entertainment that the public can enjoy and look forward to; we offer that. We created a win-win for everybody involved.